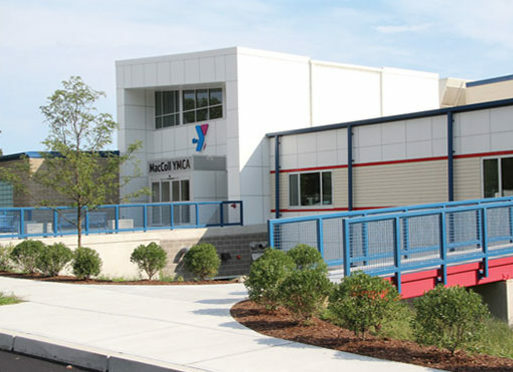 The MacColl YMCA has provided childcare, swimming, camping and other successful family programs for over 60 years. The new two-story 52,000 square foot year-round facility includes a 25-yard Lap pool as well as a Family Activity pool with a double loop Waterslide and Spray area. The new facility has a full court gymnasium (with 6 half courts) for basketball and other sports as well as a full scale Rock Climbing Wall. The facility also includes a 5,000 square foot wellness center, complete with treadmills, elliptical cross trainers, weight machines and other fitness equipment. Additional site improvements of the 125-acre site next to Route 146 include expanded parking and hiking trails. Mon-Fri: 5:15 a.m.- 9:00 p.m. Sat. & Sun. : 7:00 a.m.- 6:00 p.m. Program areas close 30 minutes before closing.